I am a groundhog. That is, I was born on the oddest of holidays, Groundhog Day, which means that this weekend is my birthday weekend. And having a kind and loving family I was given a wonderful gift for my birthday, a full day’s birding! And being a New York City dweller in winter with a full day available for birding meant, what else, a run out to the eastern end of Long Island for seaducks, gulls, and, sparrows. Wait, sparrows? Who goes out east looking for sparrows? Well, when you are going birding for a full day with Doug Gochfeld and he has the idea that there must be a Brewer’s Sparrow somewhere on eastern Long Island because “Why not?” you spend a significant chunk of your day exploring places where lots of sparrows have been wintering with the hopes of finding something really good. 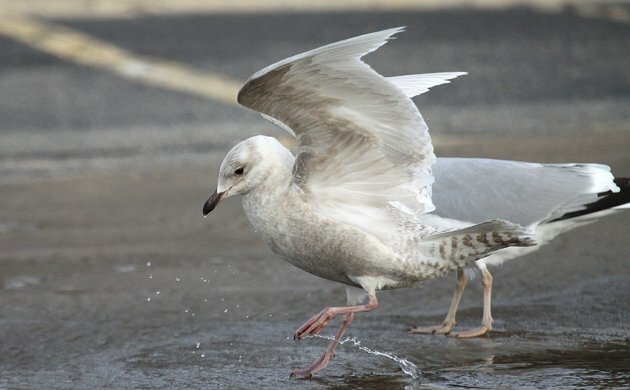 So it was that dawn found Doug, Shane Blodgett, and me pointing our scopes out over the ocean at Montauk Point while doing our best not to shiver from the cold, a situation with which many New York State birders are very familiar. We didn’t find too much as the numbers of seaducks off the point are way down this year, but we were rewarded with some Bonaparte’s Gulls and Razorbills as well as an odd bird for the point, a female Bufflehead. For the rest of the day we would mostly be heading back west, towards New York City, as we birded Long Island like our lives depended on a decent species count. 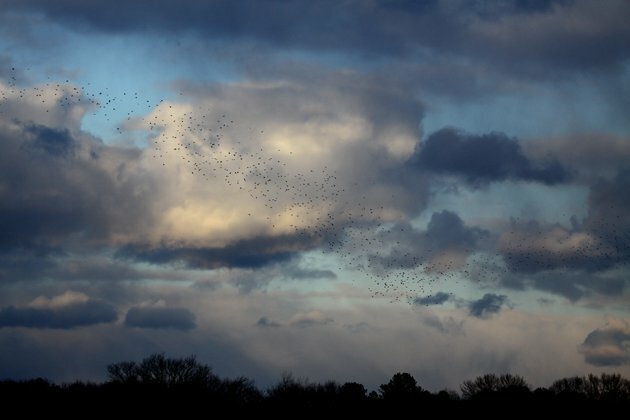 It was a pretty impressive haul of birds by the time we ended the day at dusk in Calverton. Seventy-eight species in February is nice, especially when they include regional rarities like Barrow’s Goldeneye, Ross’s Goose and Black-headed Gull. 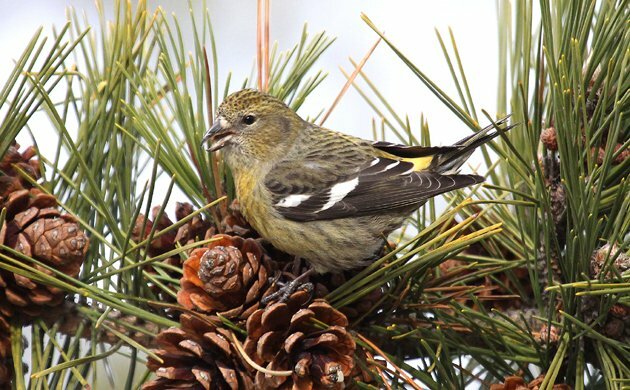 Kirk Park in Montauk, where the pines have regularly held crossbills all winter, did not disappoint, with a flock of seventeen White-winged Crossbills putting on a show for us. The female at the top of this post was particularly cooperative. The only real disappointment for the day was our inability to connect with either of the recently reported Yellow-headed Blackbirds in the Calverton area, despite an immense flock of icterids, mostly Common Grackles, that we saw headed to roost from the Calverton Grasslands. We estimated the flock at 40,000 birds and they took about fifteen minutes to fly past us in a seemingly never ending undulating line. And Idon’t believe a word you say in this post. Come on, it was such a precious gift of birding time, that the weather must have been terrible and the birds uncooperative. and you came homw with nothing but a host of CAGOs. That’s how things go in my world, and yours can’t be any different, no? As you can easily see, I wrote the comment above before my first cup of coffee.